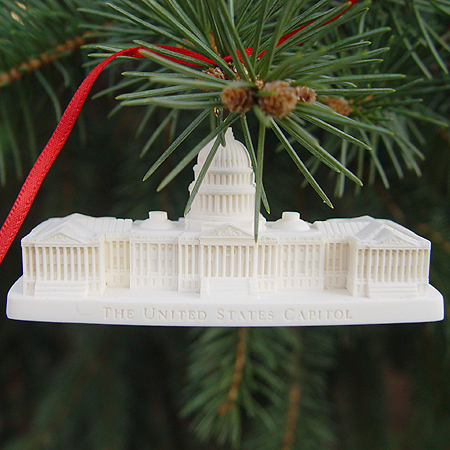 The White House Ornament Collection presents the Official 1999 3-D U.S. Capitol Marble Ornament & Desk Sculpture. 1999 3-D Marble Ornament & Desk Sculpture - Second edition in the series of the "Antiquities Collection" of Capitol Ornaments. This collection is crafted from the marble used in construction of the first steps to the House wing between 1863-65. Elegantly boxed with statement of authenticity on the bottom of the ornament.